Jio has already changed the Indian telecom industry with its affordable call rate and 4G internet plans. Now Jio is working on some other products and services such as a low-cost 4G smartphone, laptop, and cryptocurrency to make their business stronger. Along with those substantial plans, Jio is also working on their FTTH(Fibre-to-the-home) broadband and DTH service. Jio broadband is almost ready for a commercial launch within the end of this year. In the meantime, Jio has a whopping 168 million user base on its telecom network. Broadband business is contemplated one of the sturdiest services, as it needs to reach every location and connect physically. One of their rival Airtel broadband is presently accessible in 89 cities all over India with 2.1 million user base. The company is making around INR 948/ per user as their average revenue. The Jio broadband beta trials are already accessible across numerous locations in India. Jio has also provided free broadband service in multiple places of New Delhi, Gujarat, and Mumbai. Their offers were available with unlimited usage at 100 Mbps only for a security deposit of INR 4,500. Jio is targeting 200 million homes at their inceptive stage while there are 22 million homes with broadband services. According to few experts, Jio can easily make around INR 4000 crores from its broadband service in next three years. In India, there are more wireless internet users than wired broadband users. According to TRAI, till 31st December 2017, India had 21.28 million and 424.67 million broadband and wireless internet users respectively. The broadband market in India is very haphazard till now. As of now, state-owned BSNL is the number 1 contender in the Indian broadband market with 52.53% market share with 9.38 million users. It is followed by Airtel with 10.12% market share. Data consumption is increasing day by day in India. One of the TRAI’s report showed that the average data consumption per user per month was 1,945 MB in between October-December, 2017 which is way more than 878 MB in October-December, 2016. The data consumption can easily increase up to 4GB per month within 2018. Until December 2017 India had almost 150-odd internet service providers. Jio is leading the table with a comprehensive 35.9% market share. The erstwhile market leader Airtel is following it with 22.12% market share. 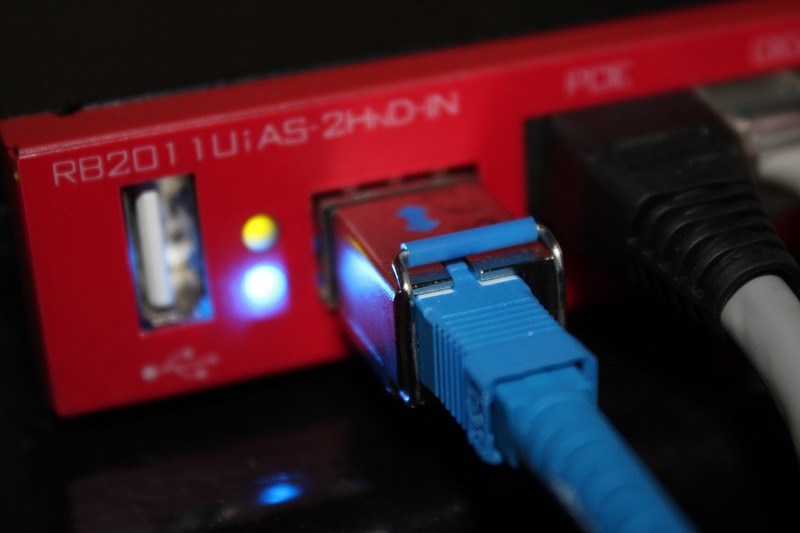 Because of the extensive availability of contents and entertainment, the demand for high-speed internet connection is growing day by day. Gaming and high-quality streaming need good bandwidth and fiber internet rather than wireless connection. Moreover, you can easily upgrade the wired capacity. However, Airtel is dilating their broadband service swiftly. Lately, they had launched 300 Mbps broadband connection along with 1 year free Amazon Prime subscription and free 1000 GB supplementary data per month which is valid until October 2018. Jio isn’t only coming with its broadband service but also they would launch DTH services. Conforming to some rumors, JioHomeTV service is coming soon. Jio will probably provide an MSO (multi-service-operator) router to offer it’s TV services. Apart from it, Jio is also working on a procedure to transmit both internet and TV signals from the existing electrical wires. After all, you can expect Jio broadband service in December this year. Users will likely get free JioFiber services for 3 months along with free access to all the premium apps of Jio and DTH services.